Platinum 6mm Rope Bracelet. 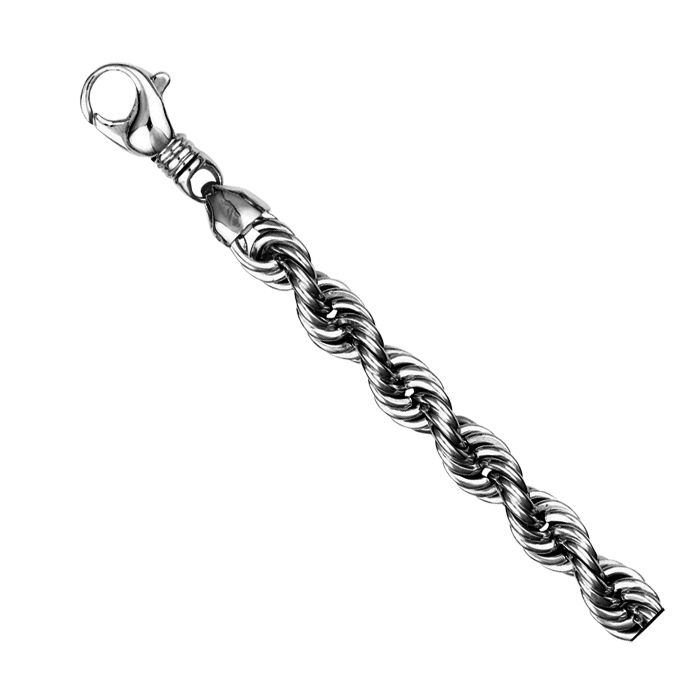 This amazing hand made Platinum rope bracelet or chain is available in diamond cut or regular selections. It's custom made to order and our price shown is for the 8 1/2 inch suggested bracelet length. 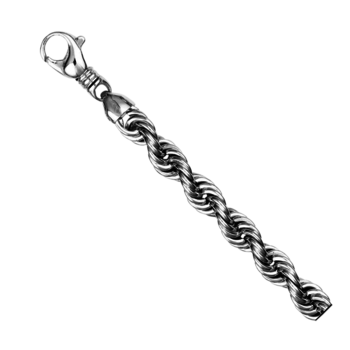 Email for the regular or diamond cut Platinum rope chain in any custom length or widths, 6, 7, 8, 9, 10, 11, 12mm widths.